In our country, injuries are the leading cause of death for children up to the age of 20. A report by the Centers for Disease Control and Prevention delivers the sobering news that more than 12,000 children die every year because of an accidental injury. That means we lose more than 1,000 children per month, or about 33 every day. The serious injury or loss of a child is a tragic event for a family. If your beloved child has been hurt because someone else was careless or negligent, you may be entitled to claim damages on your child’s behalf. Throughout Southwest Florida, Associates and Bruce L. Scheiner, Attorneys for the Injured, provides the representation families need to help them secure medical care and financial security for children who have been severely injured. Our Fort Myers child injury and wrongful death attorneys know the heartache families feel when a child dies in a tragic accident. We are strong advocates who speak for those whose voices have been silenced. Associates and Bruce L. Scheiner remains a family firm. Mr. Scheiner and his wife established the firm four decades ago and have since worked side by side to ensure that other families always have access to the highest quality legal services. 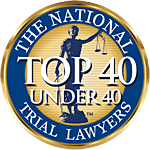 With Mrs. Scheiner managing the firm’s office, and the addition in 2007 of son and associate attorney, Preston Scheiner, the Scheiner family remains the strong backbone of Associates and Bruce L. Scheiner, Attorneys for the Injured. Our Naples and Cape Coral child injury lawyers have access to the resources necessary to aggressively investigate and prosecute your claim, including access to other professionals in the fields of law, medicine, investigation, and insurance. Together, our winning team builds compelling cases capable of winning the monetary damages families need to ensure that their injured child receives ongoing medical care, has the funds required to meet future needs, and receives compensation for their pain and suffering. Centers for Disease Control and Prevention research tells our Fort Myers children’s injuries attorneys that transportation-related injuries kill more children in our nation than any other type of injuries - in particular, injuries suffered in motor vehicle accidents. Other types of accidental injury also threaten our youth. Babies under a year of age often succumb to suffocation. Children between the ages of 1 and 4 are more likely to drown. Beyond the age of 4, traffic crashes are most likely to claim children’s lives. Fires, falls, bicycle accidents, pedestrian accidents, and other causes also contribute to childhood fatalities. The Fort Myers and Naples personal injury lawyers at our firm know that non-fatal injuries can have tragic consequences for children and their families, as well. The CDC reports that injuries affect more than 9 million children in the U.S. every year. The age group with the highest injury rate includes children from 15 to 19 years old. Our experienced child injury attorneys know that serious injuries suffered at a young age can completely alter the course of a child’s life. When your child has been the victim of injuries caused by someone else’s negligence or carelessness, the attorney you choose is important. Experience in handling cases involving injuries to children is vital if your claim is to be handled capably. Beyond that, the Fort Myers child injury lawyers at Associates and Bruce L. Scheiner, Attorneys for the Injured, understand the uniquely painful circumstances surrounding injuries to children and their loss. We respect families and we are sensitive to the difficult time you and your loved ones are going through. Compassionate, consummate professionals who can help you and your child are what you can expect from our firm. Call us today to schedule a free evaluation of your case. We’ll meet with you at any of our offices in Fort Myers, Cape Coral, Naples, Sebring or Port Charlotte. If you aren’t able to come in, we’ll speak with you at your home or in your child’s hospital room. You will pay us no fees unless we win for you and your child.